This residential development project, designed by Diener & Diener Architects with eld in the role of executive architect; took luxury to a whole new level by renovating the former industrial headquarters of BASF into 52 new, spacious apartments. 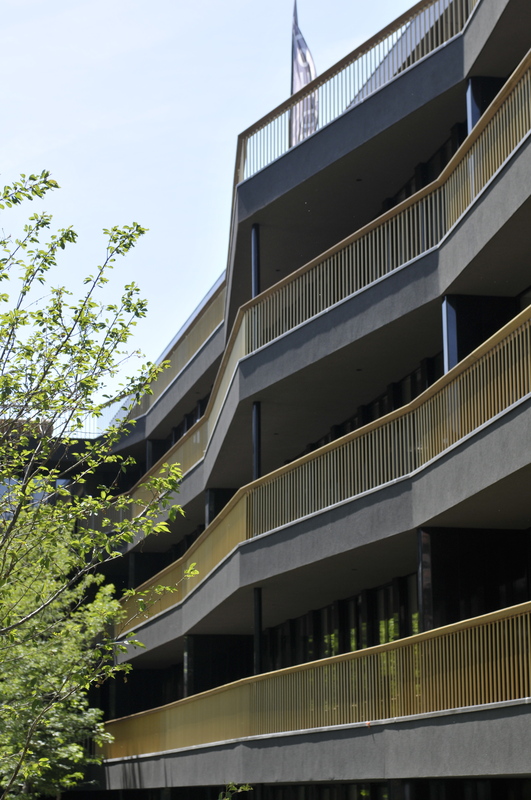 The complex is located on Avenue Hamoir, one of the most beautiful avenues in Uccle-Brussels, close by the Bois de la Cambre and Avenue Louise. Most of all, it is situated in the middle of a large park. The 1.5 hectares large Park du Hamoir is more than 100 years old. The private park, designed by landscape architect Günther Vogt, is definitely one of the highlights of the project. To create a natural transition between men and nature, the park was extended with individual gardens and balconies, extending over the entire length of the building. 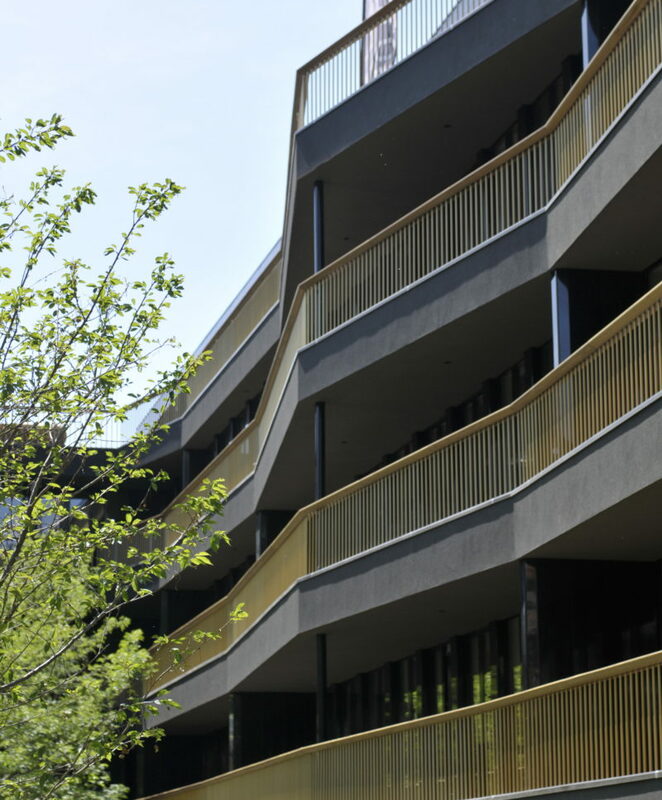 The convex and concave shapes of the balconies create a sense of movement, totally blurring the lines between interior and exterior, and make the building interact with the surrounding landscape. 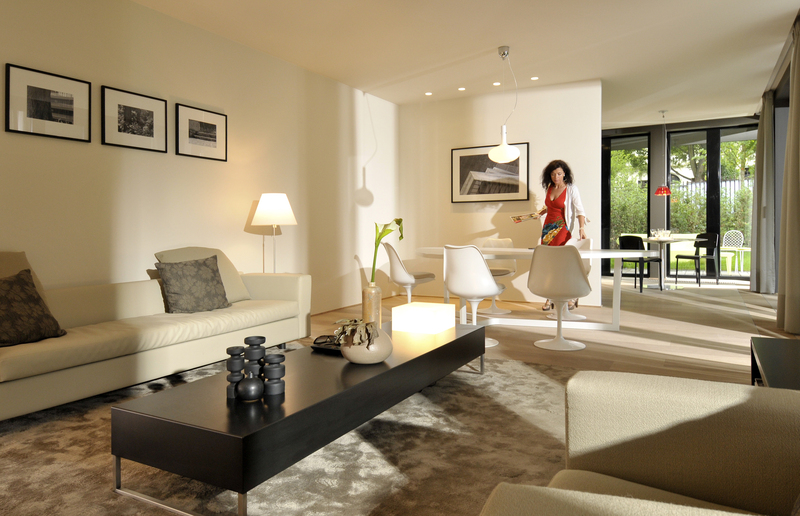 All apartments have the qualities of penthouses, with large open terraces and a feeling of space, surrounded by the park. Every detail in every apartment was meticulously thought through, both technically and aesthetically. It’s always a pleasure to work with people who are the best at what they do. Architecture is about elevating and enriching each other. The total renovation of the former office building into luxury apartments was quite an undertaking. To the existing stairwells and elevators, several entrances and halls were added, creating a ‘rue intérieure’. Existing pillars were integrated into the walls, referring to the history of the building. The reinforced sound insulation was also quite the challenge. eld is experienced in all aspects of the residential sector, from sustainability, comfort, privacy, to innovation and smart technology, elevating this project to the highest standards for its inhabitants.